Motherhood is magical. It is a unique joy experienced by women everyday all over the world. Honor your mother with this beautiful piece of jewelry. This heart-shaped pendant measures 25mm x 24mm and holds a birthstone to represent each child. 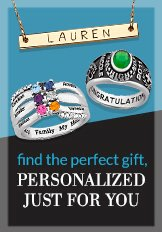 Specify your 4 birthstones when ordering. Each birthstone will feature a prong setting inside the heart pendant. The pendant suspends from a Sterling Silver 18-inch rope chain that secures with a spring-ring clasp.